After Sonali Bendre, Lara Dutta, and Sameera Reddy, it is Pooja Bhatt's turn to support Aishwarya Rai Bachchan's weight gain after she became a mom. 'Find this debate about Aishwarya Rai's weight inane. She is a gorgeous woman period. All the ugly people being malicious should take a hike!' she tweeted. Meanwhile, former Miss Universe Sushmita Sen celebrated her 18th anniversary of winning the title. 'Hello beautiful people:)I am truly overwhelmed by all ur tweets celebratin d 18th Anniversary of INDIA's 1st ever victory at d Miss Universe,' she tweeted. Even though Sunny Leone is still shooting for debut film Jism 2 in Sri Lanka, her fans have to something watch. The ad was shot in Thailand. Sunday was a sad day for many Bee Gees fans, as its vocalist Robin Gibb passed away at the age of 62. 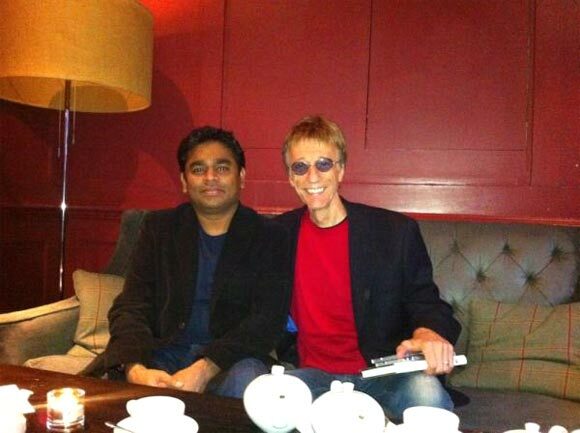 A R Rahman paid a tribute to Gibb by posting a picture of the two of them together. 'Your music will stay alive, Robin... RIP,' he tweeted. Bollywood's Fascination With The Pelvic Thrust!